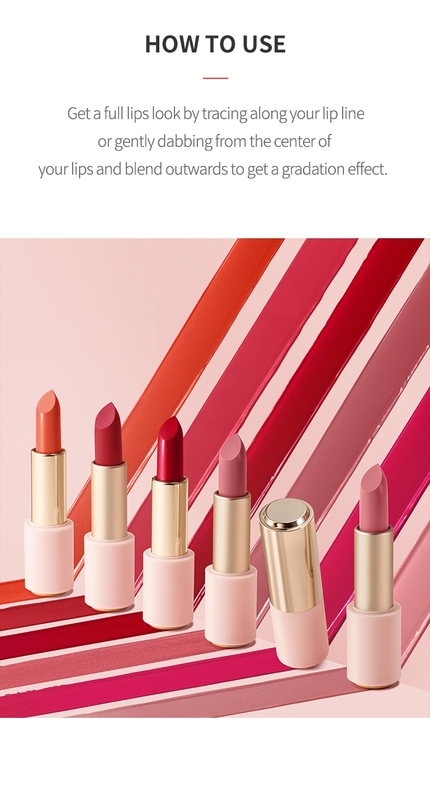 Velvet Lips-Talk gives vivid color and adheres lightly to the lips with matte finish. Apply on the entire lips along the lip line or on the center of the lips in a tapping motion to express gradation. 2. Avoid storing in high and low temperatures and areas exposed to direct sunlight. 3. Cease use if problems arise.